Welcome to Goat Hostel! 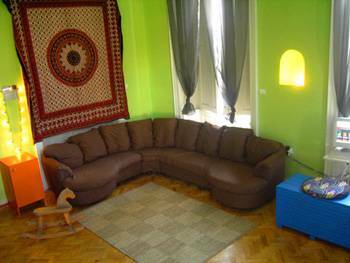 We are the perfect stop on your backpacker trail of Budapest! 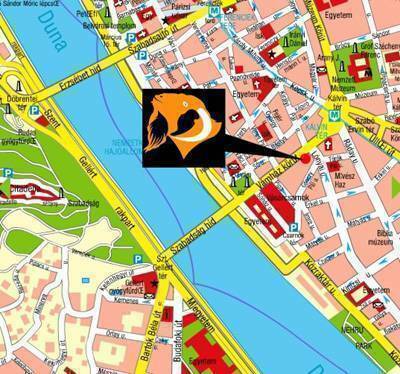 Our friendly and familiar place is located in the centre historical of Budapest, very close to Danube River. Its privileged situation is located just a few minutes walking of the places of greater interest of the city. Within walking distance you will find many bars, clubs, cafes and restaurants. We offer free internet, free coffee and tea anytime, laudry facility and lockers for guests. Reception is open 24 hrs and our friendly staff will be happy to help you with directions and advices. 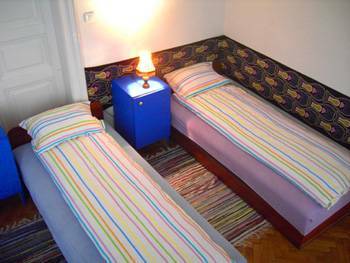 The hostel is located on the corner of Lonyai street and Vamhaz boulevard at the Kalvin ter. From AIRPORT take the bus number 200 to final destination (Kobanya-Kispest) and there take blue line metro (M3) to Kalvin ter. Leave the metro via the Kiralyi Pál utca exit. Walk down Vámház körút till you reach house number 15 and look for the Goat sign. From KELETI Train Station take the bus number 7 (red or black) to FERENCIEK TERE and there take blue line metro (M3) to Kalvin ter. (only 1 stop) Leave the metro via the Kiralyi Pál utca exit. Walk down Vámház körút till you reach house number 15 and look for the Goat sign. From NYUGATI Train Station and INTERNATIONAL BUS STATION (Nepliget) take the blue line metro (M3) to Kalvin ter. Leave the metro via the Kiralyi Pál utca exit. Walk down Vámház körút till you reach house number 15 and look for the Goat sign.